ED: Nat managed to pull off a very impressive 3rd place in the recent FWT stop in Revelstoke, B.C, Canada. For anyone who missed her run, Nat had to overcome an extremely tracked out snow pack and managed to stay on her feet through a super impressive line. Check out the highlight video below to get an idea of the gnarly factor on the Mac Daddy face in Reve! Relief would be the best way to describe how I was feeling when I crossed over the finish line in Revelstoke on Friday afternoon. 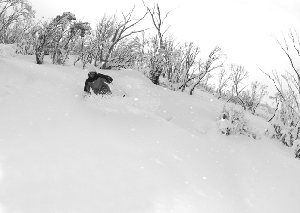 It had been a long week of anxiously waiting for the skies to clear, the pow to settle and the first stop of the 2013 Freeride World Tour to take place. My nerves have been steadily building since last June when I found out that I had qualified for the newly unified Freeride World Tour. This competition is something that I have been working towards for nearly four years. 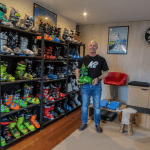 At this time the three prominent big mountain skiing and snowboarding competitions officially joined forces to unite into one international tour. Swatch Freeride World Tour by The North Face 2013 – The best riders on the best mountains in the ultimate freeride competition – the 2012 Swatch Freeride World Tour goes into its 5th season and consists of six (6) stops in Revelstoke (Canada), Chamonix-Mont-Blanc (France), Courmayeur Mont-Blanc (Italy), Røldal (Norway), Fieberbrunn (Austria) and the final in Verbier (Switzerland). Qualifying for the event was the highlight of my year and yet after five months of coming to terms with it I was still in shock standing on top of Mac Daddy face in the start gate. The face is not the mellowest I have ever dropped into. In fact, I would go ahead and say that it was one of the steepest faces I have ever competed on. 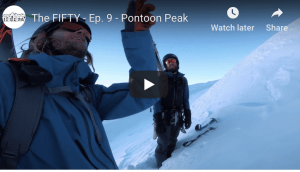 When I first looked over the knife edge ridge, I felt the desire to stomp into my skis and snow plough down the boot pack. The light had started to disappear from the face as the afternoon continued and the layer of cloud which had been menacing the venue all day, was creeping upwards. 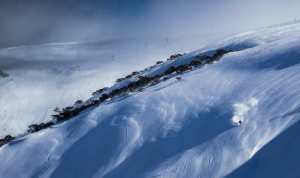 The men’s snowboarders and skiers had all finished, leaving the women’s contingent facing a shredded mix of pow, ice and flat light. That’s how it goes, weather can only be predicted so far and conditions are not always prime. In the fading sunlight, I managed to convince myself that skiing down was a good idea and that it would be fun. I had chosen a line on the skier’s left of the venue, which was visible from the top, unlike some of the more exposed skier’s right and straight below the start gate. My line was tracked but the snow still seemed to be soft. A lot can change between the beginning of the competition day and the moment before you drop in. Waves of nerves surge in and out of your brain. One minute you are full of confidence and the next your legs feel like jelly. In this scenario, I try my best to distract my brain. I chat and dance around trying to get warm. Then just before I drop into my line I try and look away from the impending ski down and focus on the view. It’s amazing how much mountains can calm your nerves, I think more office blocks should invest in mountain views. My bib drawing abilities found me dropping in second of the female skiers. Just as the last snowboarder cleared the finish line the clouds opened up a window for us, leaving no time to think. I swallowed my concerns and started to ski my line. The snow was worse than I had expected, the top steep section was wind affected and dotted with rocks. It was hard to ski in control but once I had made it down the first face and across the left traverse, the snow seemed like it was going to be softer. I had decided to keep my line simple and mellow; my main goal was to not crash. The crux of my line was a pillow drop into a straight-line. With the flat light, I skied into the air a little slower than I had intended and took it cautiously. The pillow to air-straight line was the best part of my day. The snow that followed, however, was not. Wind affected, dense and heavy – the ski to the finish line was a struggle to stay on my feet. Thoughts of hitting any more features down the face were disbanded, I just wanted to get down. Finally, I made it to the arches of the finish line, relieved and out of breath. I was content that the first comp was finished, smiling because I didn’t fall and stoked to get a big bear hug from my ninja-friend Rick Wroblewski. That was it. The adrenaline hit and we were herded into a heli to take us back to the viewing ridge. It wasn’t until I made it back that I realised how variable the conditions had become while we had waited on the peak and how amazingly, despite the conditions, all the girls fought to ski technical lines comparable with the men’s side. Consistency doesn’t always pay off, but this time it did. 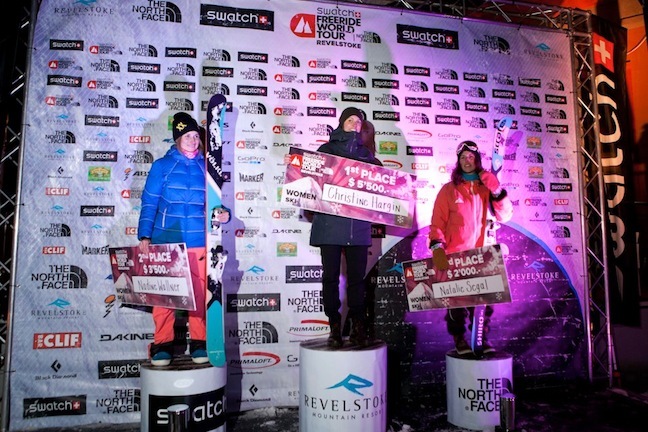 Skiing smart landed me a spot on the FWT podium. If you thought I was baffled at the start gate, I was absolutely speechless an hour later as I stood in third place. I was lucky in my line choice but some weren’t so fortunate. 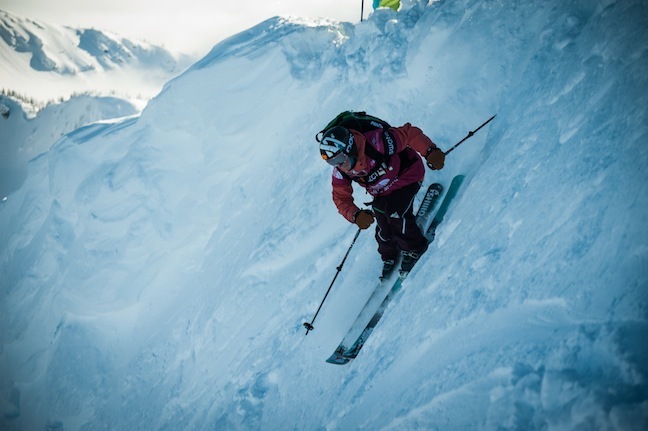 Third place holder of last years Freeride World Tour, Eva Walkner, stomped a massive double drop to her feet in the boggy snow, only to ski out with a blown ACL. 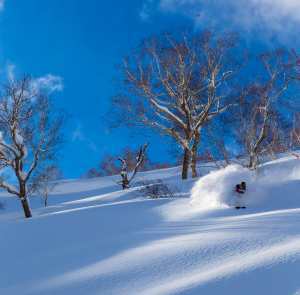 With the progression of women’s skiing comes a need to provide good skiing conditions and access to technical lines and landings that have not been wholly bombed and scraped out by the men’s field. Luckily, this is an issue that the organisers are not blind to, something that I believe is going to be addressed in the next tour stop and the future. I’m looking forward to the next stop of the Freeride World Tour in Chamonix, it’s another chance to send it down some of the best terrain in the world.